Communication between devices from different manufacturers can be difficult. 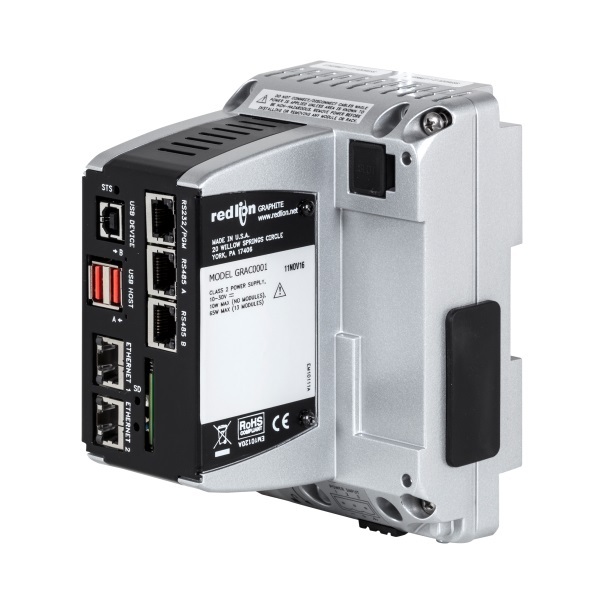 Bridge the communication gap between disparate serial, Ethernet and fieldbus devices, orphaned by incompatible communications standards, using Red Lion’s Data Station products. Supporting more than 300 industrial protocols, communicating with ABB, Emerson, Rockwell Automation, Schneider and Siemens equipment has never been easier than with our simple-to-use Crimson® software. The Data Station from Red Lion is a next generation protocol conversion and data acquisition solution for a connected industry. In addition to supporting over 300 industrial drivers, it also offers data, event and security logging with cryptographic signature support; remote machine access through an advanced web server; connectivity to some of the industry’s most popular IIoT platforms and embedded OPC UA server functionality. Learn more. 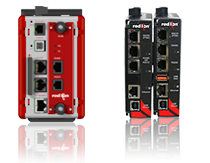 In addition to native support of IEC 61131 programming languages, connectivity to IIoT platforms and OPC UA server capability, Red Lion’s rugged Graphite Edge controller communicates with over 300 protocols, providing protocol conversion, data, event and security logging with cryptographic signature support, and advanced web serving and data visualization functionality in a versatile form factor ideal for a variety of applications. With its rugged, all-metal construction and wide operating temperature range, the Graphite Edge is designed to operate in the harshest environments. Learn more. The ICM8 is designed to allow Red Lion panel meters to communicate over industrial Ethernet networks. The ICM8 communicates via RS-485 to Red Lion panel meters, converting serial to Ethernet for remote monitoring and control. Up to 32 meters can be wired to the ICM8 using RS-485 serial communications. This ICM8 converter is only compatible with Red Lion panel meters; please use the DSP for all other protocols. Learn more.